The Olympic Channel debuts its original documentary series, Far From Home, this week with stories behind some of the most unlikely athletes at the Winter Games. 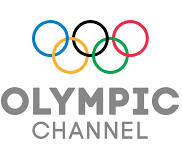 You can find The Olympic Channel in Bend on channel 49 (SD) and channel 649 (HD) in Preferred where you can choose from thousands of videos. Far from Home stories include Julian Yee, who will represent Malaysia in the Winter Games. Yee is the first ever Malaysian figure skater to qualify for this event. Learn about Yee’s grueling training schedule and his training inside a busy shopping mall in Kuala Lumpur. Hear the stories of cross country skier Victor Santos from Brazil, the first women’s bobsled team of Carrie Russell and Jazmine Fenlator from Jamaica and alpine skier Forough Abbasi from Iran. Find these stories and more on The Olympic Channel, which started broadcasting here in the United States in September. Their tag line is “Where the Games Never End.” Now you can see all the things you enjoy about the Olympic games all.year.long. On The Olympic Channel, you can also get to know the athletes as they advance in world competition in their pursuit of the 2018 Winter Olympics in PyeongChang, South Korea. Learn more about the newest sports and the four new events added to the Winter Olympics Games this year — Mixed Doubles Curling, Big Air Snowboarding, Mass Start Speed Skating and Team Skiing. The events are for both men and women. Also watch coverage of events that are hard to find anywhere else (climbing and parachuting, to name just a few). The Olympic Channel is a joint effort between the International Olympic Committee, the United States Olympic Committee and NBCUniversal which means you’ll get the great production values you’re used to. It’s programming your whole family can watch together and enjoy together! The Winter Olympics kicks off Feb. 8. The Olympic Channel sounds appealing. Will Bend Broadband ever get the NHL Network? It takes only one look at how popular the park district ice hockey programs are to realize that we have a critical mass of hockey fans in this area. Please let me know how close we are to having the NHL Network on Bend Broadband.